On Saturday, May 21, some of the biggest names in the entertainment industry celebrated the 90th birthday of the legendary Tony Bennett at Keep Memory Alive’s 20th annual Power of Love® gala at the MGM Grand Garden Arena in Las Vegas. 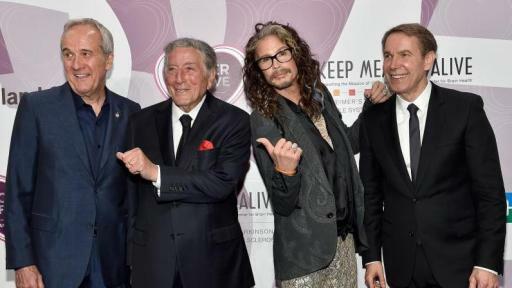 The star-studded event raised funds and awareness for Cleveland Clinic Lou Ruvo Center for Brain Health and its fight against brain disease including Alzheimer’s, Huntington’s and Parkinson’s diseases, multiple sclerosis and multiple system atrophy. 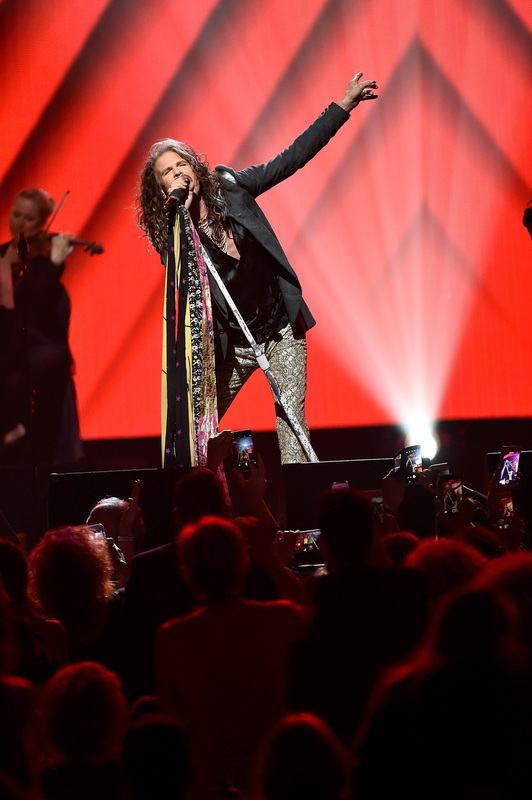 Highlights from the night included a performance by honoree Tony Bennett and heartfelt tributes by James Corden, Andra Day, Herbie Hancock, Darius Rucker, Jordin Sparks, Steven Tyler and more. 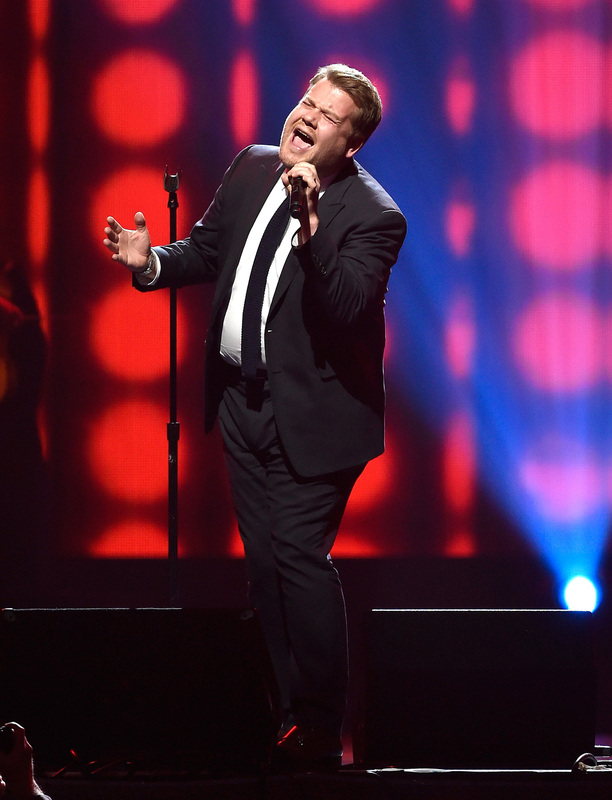 Day kicked off the show with her rendition of “Steppin’ Out With My Baby,” while Corden performed his version of “Don’t Get Around Much More.” Later in the evening, Sparks teamed up with pianist Dan Orlando to perform a medley of hits including “The Best Is Yet To Come,” “Alright OK You Win” and “It Don’t Mean A Thing.” Rucker treated guests to hit single “Sunny Side of The Street,” before Hancock took the stage to perform “Chameleon” and “Cantaloupe Island.” Tyler joined the elite ensemble to perform “Smile” with jazz trumpeter Chris Botti before singing Aerosmith classic “I Don’t Want To Miss A Thing.” The man of the evening, Bennett, performed numerous hits including “Watch What Happens” and “How Do You Keep The Music Playing.” To close the show, the entire cast sang Bennett “Happy Birthday” and presented him with a celebratory cake. In addition to musical icons, celebrity supporters who also attended the event included Quincy Jones, Brad Garrett, Steve Schirripa and Chazz Palminteri. Tony Bennett is also a gifted visual artist with three of his paintings in the permanent collection of the Smithsonian Institution. To acknowledge this aspect of Bennett’s artistry, a variety of world-renowned painters, sculptors and other artists joined to celebrate and were recognized during a special presentation narrated by Academy Award, Golden Globe and Emmy nominee Minnie Driver, which was accompanied by an original score from former Wings guitarist Laurence Juber. Artists honored included: President and Founder of Cultural Counsel Adam Abdalla; Golden Lion Award-winning artist Marina Abramović; American artist and glass sculptor Dale Chihuly; President and CEO of Chihuly Studio and Chihuly Workshop Leslie Jackson Chihuly; American pop and conceptualism artist Jonathan Horowitz; Governor’s Award-winning artist and sculptor Jeff Koons; American post-conceptual artist Rob Pruitt; legendary New York artist Peter Tunney; screen writer Petter Skavlan; and curator, creative director and writer Neville Wakefield. 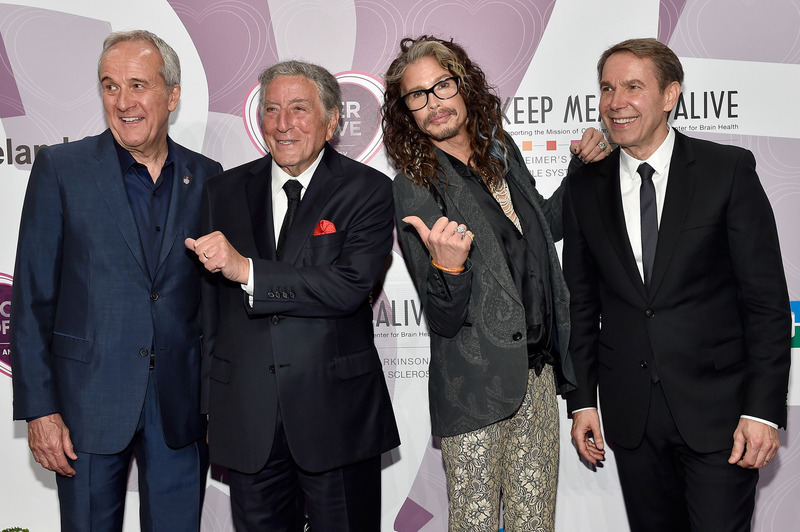 Continuing its 20-year history, the Power of Love gala showcased a dinner prepared by superstar chefs Mario Carbone, Nobu Matsuhisa and Wolfgang Puck, who has participated in every gala since its inception. In addition to enjoying the finest cuisine, wine and spirits, guests bid on one-of-a-kind experiences during a live and silent auction. Items auctioned include a seven-day Italian vacation in Florence and Venice with world-famous tenor Andrea Bocelli as a tour guide, an original piece titled “The GOOD LIFE” from artist Peter Tunney and a personal culinary tour of Jean‐Georges Vongerichten’s eight New York City restaurants. For more information about Cleveland Clinic’s fight against brain disease, visit clevelandclinic.org/brainhealth. Cleveland Clinic Lou Ruvo Center for Brain Health provides state-of-the-art care for neuroloigical disorders and for the family members of those who suffer from them. The physicians and staff at the Center for Brain Health provide early diagnosis, on-going care and optimal care. Patients receive expert treatment at the Center for Brain Health, which offers a multidisciplinary patient-focused approach to diagnosis and management, promoting collaboration across all care providers and integrating education andresearch into all aspects of care. Clinical trials are a major scientific focus of the Center; patients are provided with opportunities to participate in tests of advanced therapies for brain disorders. The facility, designed by Frank Gehry, houses clinical space, a diagnostic center, neuroimaging rooms, physician offices, laboratories devoted to clinical research and the Keep Memory Alive Event Center. For more information, visit www.clevelandclinic.org/brainhealth. 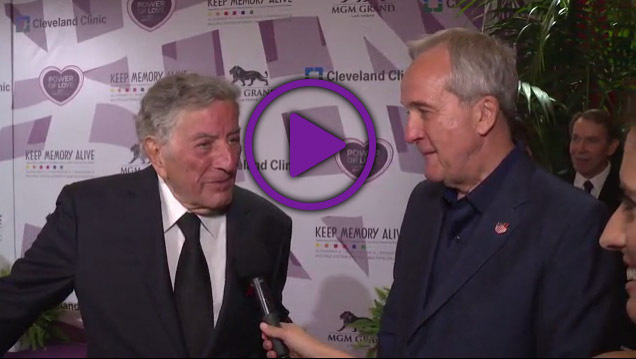 Keep Memory Alive, whose mission is to provide enhanced treatment and ultimately cures for patients and their families suffering from neurocognitive disorders, raises awareness and funds in support of the Cleveland Clinic Lou Ruvo Center for Brain Health. By supporting Keep Memory Alive and its fight against neurodegenerative diseases such as Alzheimer’s, Huntington’s, Parkinson’s, frontotemporal dementia, multiple sclerosis and multiple system atrophy, we can ensure progress towards better treatments and ultimately cures will occur in Las Vegas. For additional information call (702) 263-9797 or visit www.keepmemoryalive.org. No one in popular American music has recorded for so long and at such a high level of excellence than Tony Bennett. In the last ten years alone he has sold ten million records. The essence of his longevity and high artistic achievement was imbued in him in his loving childhood home in the Astoria section of Queens where he was born on August 3, 1926. As a teenager Tony sang while waiting on tables and then enlisted in the Army during World War II and while in Europe he performed with military bands. He later had vocal studies at the American Theatre Wing School. Bennett’s big break came in 1949 when comedian Bob Hope noticed him working with Pearl Bailey in Greenwich Village in New York City. With millions of records sold world-wide and platinum and gold albums to his credit, Bennett has received nineteen Grammy Awards -- including a 1995 Grammy for Record of the Year for his “MTV Unplugged” CD which introduced this American master to a whole new generation -- and the Grammy Lifetime Award. His initial successes came via a string of Columbia singles in the early 1950’s, including such chart-toppers as “Because of You," "Rags to Riches," and a remake of Hank Williams “Cold, Cold Heart.” He had 24 songs in the Top 40, including “I Wanna Be Around," “The Good Life," “Who Can I Turn To (When Nobody Needs Me)” and his signature song,” I Left My Heart In San Francisco,” which garnered him two Grammy Awards. 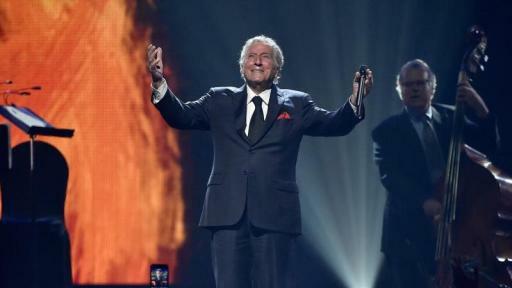 Tony Bennett is one of a handful of artists to have new albums charting in the 50’s, 60’s, 70’s, 80’s, 90’s, and now in the first two decades of the 21st century. 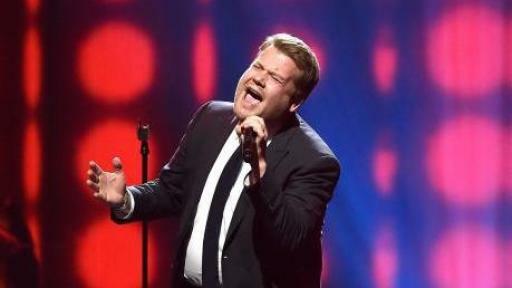 He has introduced a multitude of songs into the Great American Songbook that have since become standards for pop music. 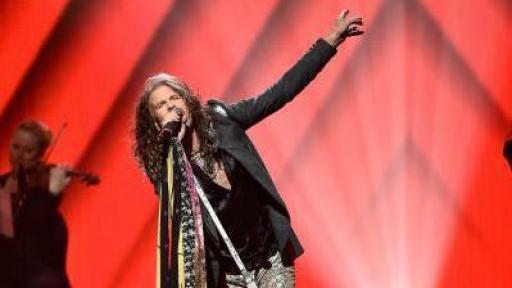 He has toured the world to sold out audiences with rave reviews whenever he performs. In the new millennium, Bennett’s artistry and popularity was higher than ever. In 2006, the year of his 80th birthday, his Duets: An American Classic was released. Bennett’s first Duets album also inspired the Rob Marshall-directed television special Tony Bennett: An American Classic which won seven Emmys making it the most honored program at the 2007 Emmy Awards. 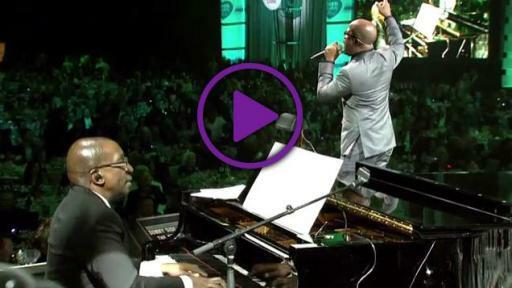 In celebration of his 85th birthday in 2011 the release of Bennett’s highly anticipated, Duets II, featured Tony performing with a new roster of celebrated artists including, the late Amy Winehouse (her last recording was their duet of “Body and Soul”), Michael Buble, Aretha Franklin, Josh Groban, Lady Gaga, John Mayer, and many others. Tony’s collaborative jazz album with Lady Gaga, released, Tony Bennett & Lady Gaga: Cheek To Cheek. Cheek To Cheek debuted at #1 on the Billboard Top 200 album charts making Bennett, at the age of 88, the oldest artists to have a #1 album – a record he originally established at the age of 85 when his Duets II debuted at #1. Tony Bennett became a Kennedy Center Honoree in 2005, was named an NEA Jazz Master in January of 2006. 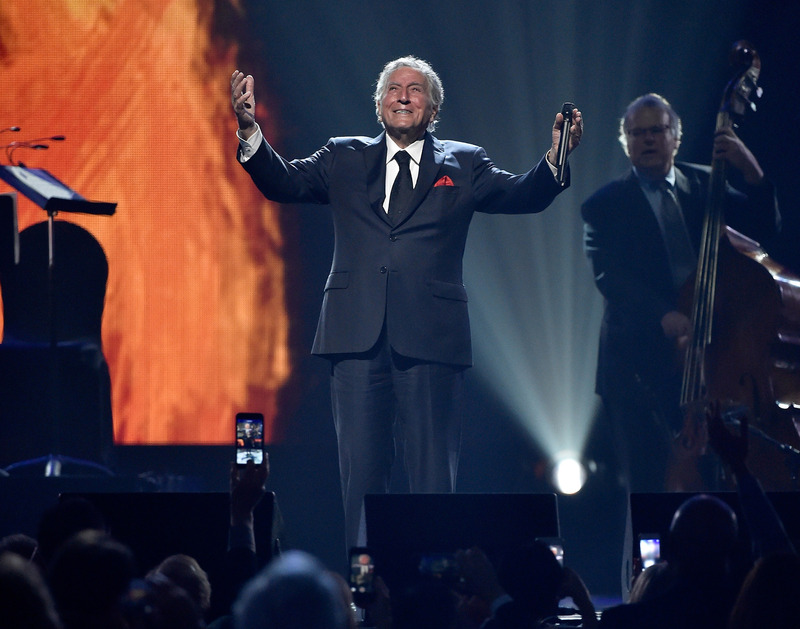 Throughout his career, Tony Bennett has always put his heart and time into humanitarian concerns. He has raised millions of dollars for the Juvenile Diabetes Foundation, which established a research fund in his name. His original paintings each year grace the cover of the American Cancer Society’s annual holiday greeting card, proceeds from which are earmarked for cancer research. He marched with Dr. King in the historical Selma to Montgomery Civil Rights movement. In 1999, Tony Bennett, with his wife Susan Benedetto, founded Exploring the Arts (ETA) to strengthen the role of the arts in public high school education. ETA continued beyond its commitment to FSSA to expand their support and to date, currently partners with 23 public high schools – 17 in all five boroughs of New York City and 6 schools located in Los Angeles.